There’s just something about a black and white floor that excites me. 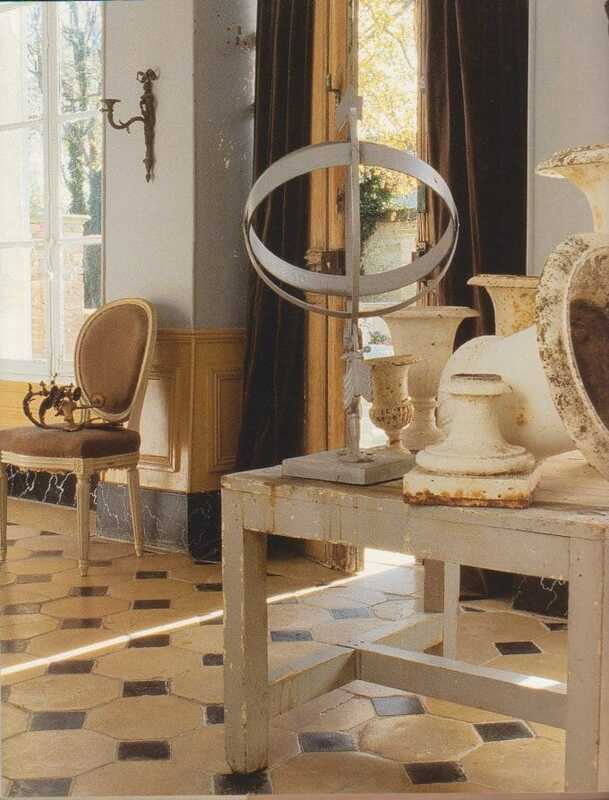 Gilles Trillard, The New French Decor, Harry N. Abrams, Inc.
And can be found in practically any room of the house. I think they have an elegance to them no matter where they are. And weirdly enough, I think my fondness for black and white floors came from watching The Beverley Hillbillies as a child. 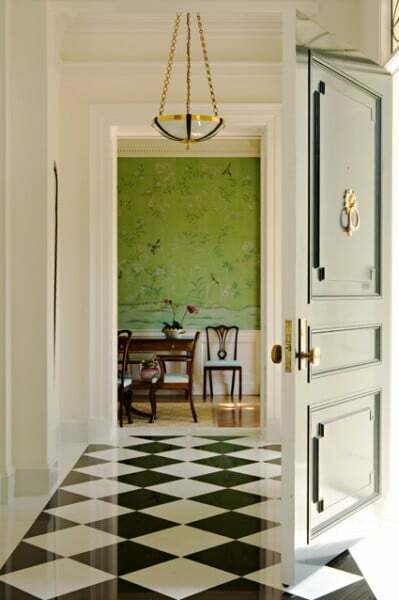 Their grand entryway had black and white tiles and I thought it was soooo fancy. So I guess you could say I get my inspiration from The Beverley Hillbillies? As a matter of fact, now that I am looking at their truck, maybe my love of junk and thrifty finds comes from that TV show also. I am joining Debra at Common Ground‘s Vintage Inspiration Friday. Stop on over to see more inspiring ideas. Isn’t it funny what we take from those childhood tv shows-I just love “Little House on the Prairie” and could watch re-runs for hours-wonder if I got anything from that show? Have a great day! Pam, I think you may have answered some questions for me. I too love the Beverly Hillbillies(watched it growing up as well, on TBS in reruns), and I too LOVE black and white floors. In fact that is what I want to do(more so black and cream or beigey color) to my kitchen floor eventually. And yes, look at how much stuff that little truck held:) Great post Pam! Ohhhh… so pretty. I heart black and white floors too! So classy to me. 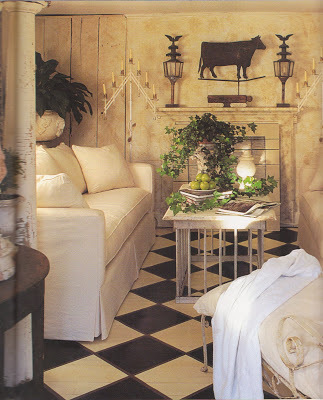 I used to watch The Beverly Hillbillies in reruns before school everyday, and I too love black and white floors. I wonder if they got a payback from a flooring company. I also wanted curls like Ellie Mae and raccoons to follow me everywhere. Fortunately not all those ideas stuck. But I still kind of want my own cement pond. 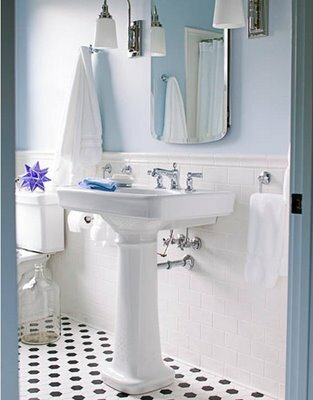 I have always liked the look of black and white floors and we installed them in our previous homes master bath. 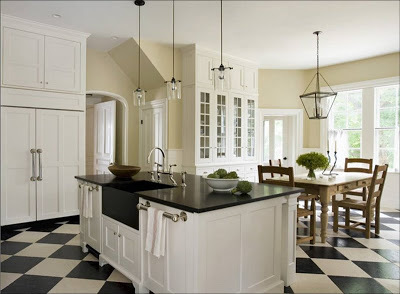 If we build or remodel another home I would use the black and white tiles again. Growing up our basement floor was black and white ~ my parents loved to entertain and this was their dance floor! Thanks for the great memory today! Thank you for insipire a passion. Me too, marble, tile or painted wood, they really are sooo classy. 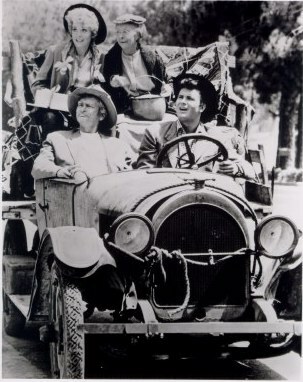 I’m really laughing about the Beverly Hillbillies. We all do kinda love the idea of piling junk in our cars and trucks. really great post, thanks for linking in to VIF!! I’m crazy for black and white anything…. But floors are my fav. They are just sooo darn zippy, aren’t they?